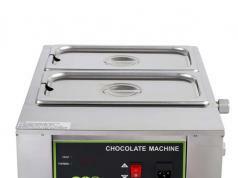 Meet the MagiDeal Electric Double Oven: a handy appliance that lets you melt chocolate and make fondues conveniently. 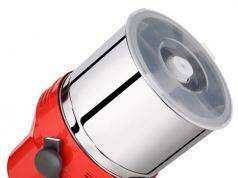 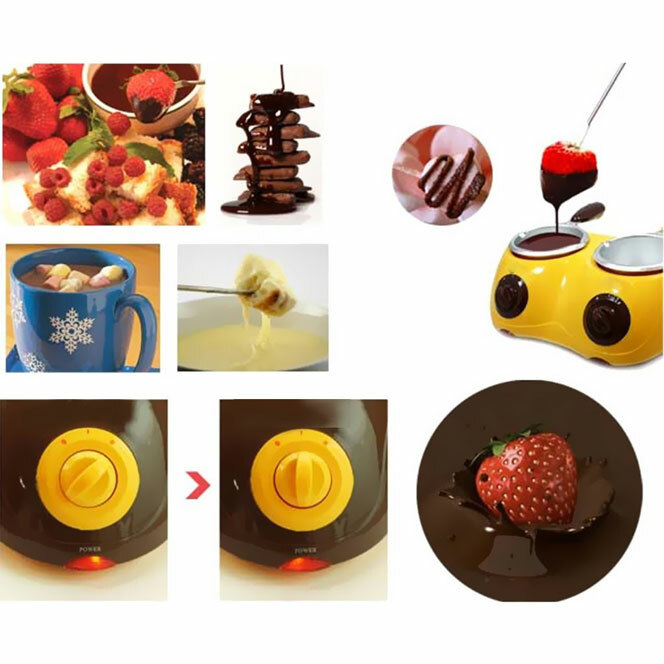 It heats chocolate to the right melting temperature and comes with various dipping tools (forks and spatula). 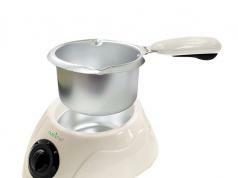 Since you get 2 pots, you can make chocolate and cheese fondue or get more creative.